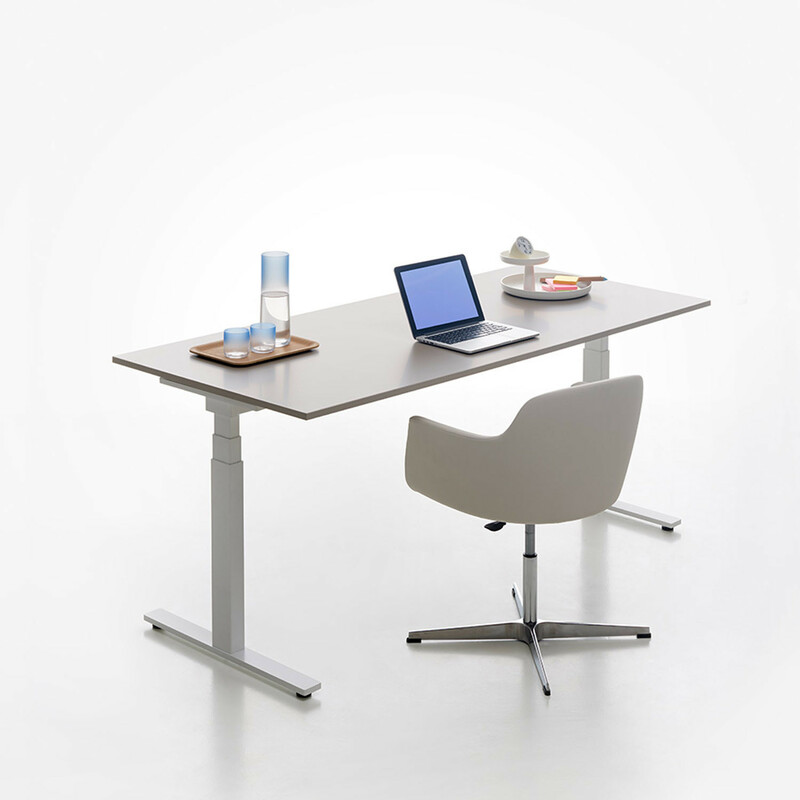 Stand Up T-Leg Adjustable Desk is a new concept of electric adjustable desk using a telescopic system. There are no wires: this sit-stand office desk runs on battery power alone! 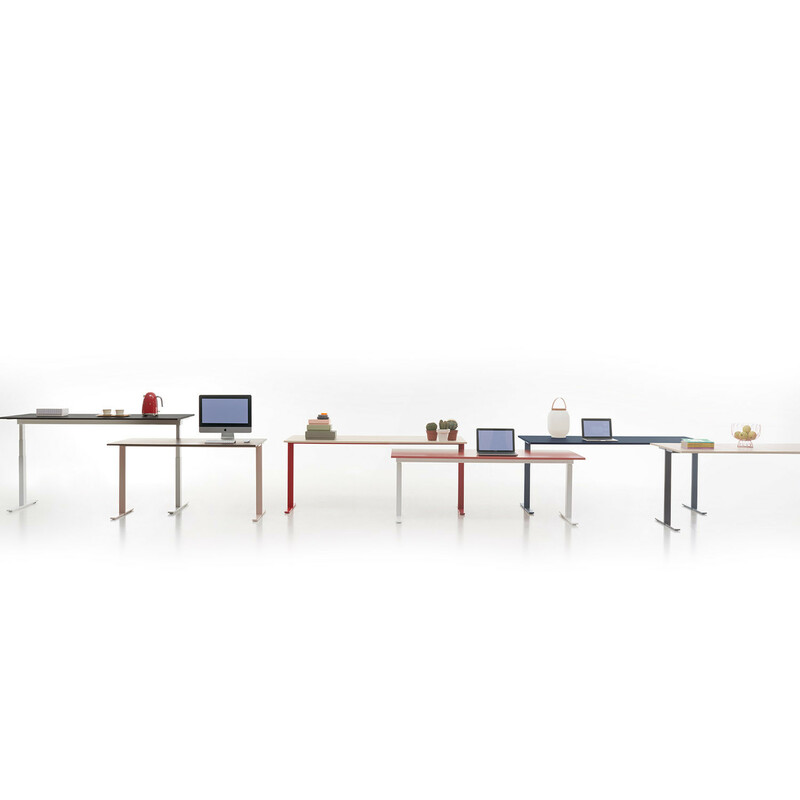 Stand Up T-Leg Height Adjustable Desks perform a dual function of standard office desk and standing workstation (sit and stand). 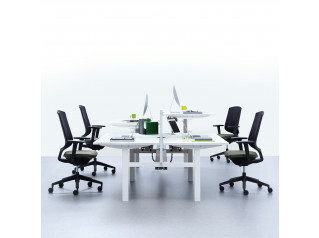 T-Leg Sit Stand Desk is designed to provide relief from sitting during the day, and is ideal for hotdesking too. Research indicates that sitting down for sustained periods can cause musculo-skeletal problems, so having the ability to stand up whilst working can relieve and, indeed, prevent problems from occuring. The systems complies with European standard EN 527 for the use of workstations when sitting and standing, with a height adjustment of 680mm (from 625mm - 1285mm), whilst maintaining stability and robustness. Battery operated Stand Up T-Leg Office Desks are a departure from the standard office desk, offering employees a healthier way to work. You are requesting a price for the "Stand Up T-Leg Adjustable Desk"
To create a new project and add "Stand Up T-Leg Adjustable Desk" to it please click the button below. 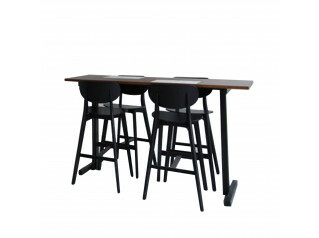 To add "Stand Up T-Leg Adjustable Desk" to an existing project please select below.